Say what ya see, or say what you think you see. This is the little dynamite Mia with a wiggly worm but what is going through her head? If you head on over to Mammasaurus you'll find lots of photos and they all need a caption. Look at that cheeky face, now can you think of a caption to go with it? And then click the badge and see others normally better efforts. Can you come up with a funny caption for this photo of my little Mia? Can you think of a little caption for this photo? 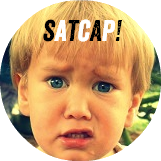 #SatCap - Can you Caption This? What's going through little Mia's mind here? If you can think of anything funny or witty please go ahead and leave a comment. Please also make sure you give some love by clicking the badge and heading over and seeing the better efforts. 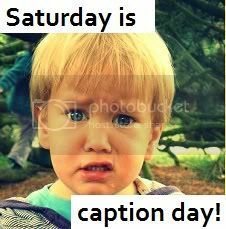 All you have to do is come up with a caption for the above photo.